The study of the law of tort is generally preoccupied by case law, while the fundamental impact of legislation is often overlooked. At a jurisprudential level there is an unspoken view that legislation is generally piecemeal and at best self-contained and specific; at worst dependent on the whim of political views at a particular time. With a different starting point, this volume seeks to test such notions, illustrating, among other things, the widespread and lasting influence of legislation on the shape and principles of the law of tort; the variety of forms of legislation and the complex nature of political and policy concerns that may lie behind their enactment; the sometimes unexpected consequences of statutory reform; and the integration not only of statutory rules but also of legislative policy into the operation of tort law today. 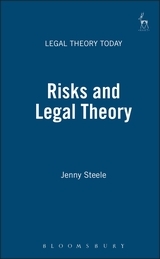 The apparently sharp distinction between judicially created private law principles, and democratically enacted legislative rules and policies, is therefore questioned, and it is argued that to describe the principles of the law of tort without referring to statute is potentially highly misleading. This book shows that legislation is important not only because of the way it varies or replaces case law, but because it also deeply influences the intrinsic character of that law, providing some of its most familiar characteristics. The book provides the first extended interpretation of legislative intervention in the law of tort. 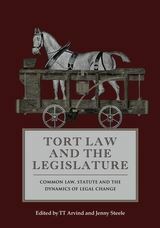 Each of the chapters, by leading tort scholars, deals with an aspect of the influence of legislation on the law of tort. While the nature, sources and extent of legislative influence in personal injury law is an essential feature of the collection, other significant areas of tort law are explored, including tort in the context of commercial law, labour law, regulation and the welfare state. Essays on the Compensation Act 2006 and Human Rights Act 1998 bring the current state of the interplay between tort, politics and legislation to the forefront. In all of these contexts, contributors explore the deeper lessons that can be learned about the nature of the law of tort and its changing role and functions over time. 12. Tort Law and Workmen's Compensation Legislation: Complementary or Competing Models? 14. Recovery of State Benefits from Tort Damages: Legislating For or Against the Welfare State? “Every one of the essays in this book is valuable in its own terms...If I had a recurring disappointment in reading this book it was that I could have wished almost all of the contributions to be longer and more detailed. With various articles drawing on almost every area of life, the book could not fail to be perceived as relevant and important for lawyers generally. One might not, however, have predicted that it would also be quite such an absorbing read as it is. TT Arvind is a Professor of Law at Newcastle University. He has published a number of articles on legal history, comparative private law, and the law of obligations.